In a few weeks, the voters of Florida will go to the polls to pick a governor, among other things. All of the handicappers are betting on the left to pull off the Sunshine State which used to be totally controlled by the Democrats for over 100 years. That is until the Republicans figured out how to take over. But this November 4th, the voters have a clear choice between Dumb and Dumber. Which one is dumb, you ask? Well, none other than Governor Rick Scott. The millionaire corporate CEO turned stupid politician. He went through several chiefs of staff, all of whom he supported when they were accused in corruption scandals, while he threw his Lt. Governor, Jennifer Carroll, under the bus for being falsely implicated in a state and federal probe of a so-called veterans non-profit charity involved in an illegal gambling, racketeering and money laundering scandal. The Lt. Governor’s only “crime” was that she owned a public relations firm that represented Allied Veterans of the World, including creating a film for them. But since she was the Republican Lt. Governor at the time almost 60 people associated with Allied were being arrested, the press decided to link her with them. Now anybody with any inkling of common sense knows that just because you do PR for a company does not mean that you know what’s actually going on in their day to day business operations. You just publicize what they tell you to. Yet Rick Scott let his staff demand her resignation. He didn’t even have the courage to speak to her and ask for an explanation nor give her a vote of confidence either publicly or privately. This was the second time someone had come after Jennifer Carroll. An Obama groupie who the Lt. Governor hired on her staff (first mistake) turned against her and fabricated a story accusing her of having a lesbian affair with another staff member. And when Jennifer tried to defend herself (second mistake), a lesbian organization came after her. But Charlie Crist is even worse. Funny how some of the liberal gay judges wanted to “out” Crist when he was the Republican Governor of Florida; now they applaud him for double-crossing the Republicans and becoming a Democrat (that is after he became an Independent). So I guess he still must be a closet gay, but he’s OK because he’s a Democrat like they are. But that doesn’t change who he really is and what he has done. I guess Vice President Joe Biden has forgotten (or forgiven) that the former director of the Republican Party of Florida (RPOF), James Greer, implicated Charlie Crist in participating or instigating some of his crooked dealings. Greer is just finishing up his 18-month prison sentence for stealing money from the RPOF and threatens to expose all in his upcoming book. If anyone wants to know other things about Charlie Crist, they might want to ask some of the black Republicans. They have some choice words for him – probably worse than the white Republicans. So in my book, he gets the dumber award. But Black Democrats love him now. He even gave some money to the NAACP when he was governor. And the Black preachers don’t care that he cut education funding and allowed state universities to raise tuition up to 15 percent per year (check out one of the paid political advertisements paid for by the RPOF). They just tell their congregations that Governor Rick Scott cut education funding and they need to vote for Charlie Crist so that the education funding can be restored. So the man who cut education funding when he was governor, will now restore funding cut by the present governor, right? 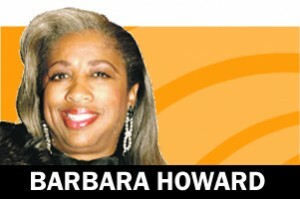 Don’t you just love how black voters are manipulated every election season? They will vote for the Democrat every time regardless of whether what they are told is true or not. Dumb and Dumber – what a great choice we have in 2014. 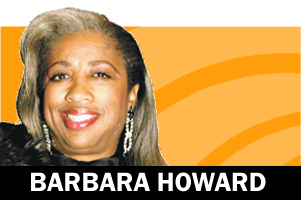 Barbara Howard is a political consultant, radio host and commentator and motivational speaker. She is Florida State chairwoman for the Congress of Racial Equality (CORE) and Trade & Travel goodwill ambassador to Kenya. She may be reached at bhoward11@bellsouth.net.